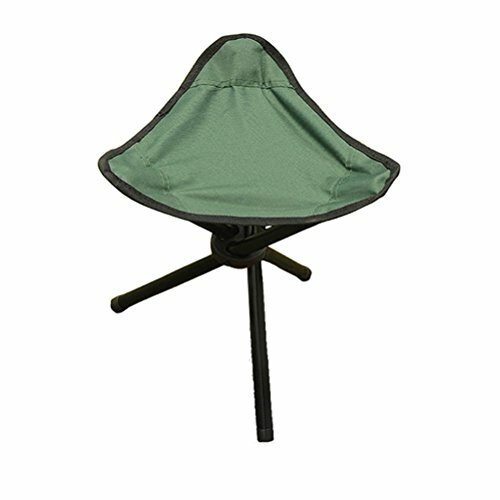 Perfect for campers, festival goers and day-trippers alike, the 3-Legged Stool is compact, lightweight and durable. With a bright design and a carry strap, the stool is great for outdoor use. Ideal for camping, day trips and many more. - Material: Oxford cloth and steel tube. - Size: About 50 * 7 * 7 cm/ 19.68 * 2.76 * 2.76 inch(L*W*H). - Chair bearing capacity: 100 kg. - Strong frame, padded seat and an extra large sitting area. Sturdy and steady, easy to fold and carry. Suitable for internal and external leisure, mountain climbing, camping and so on. Extra sturdy 3-legged stool with a comfortable seat. Size: About 50 * 7 * 7 cm/ 19.68 * 2.76 * 2.76 inch(L*W*H).